The intelligence bureaucracy has become bloated and overly complex. President-elect Trump argues that the Office of the Director of National Intelligence—which we helped create—needs streamlining. We agree. ODNI reform is a logical first step to build new capability and restore trust. After Sept. 11, the intelligence community's business model was outdated. Trapped in separate silos, spy agencies had failed to share critical information that might have helped spot the plot. They needed to be more nimble. In response, we helped shepherd through Congress the Intelligence Reform and Terrorism Prevention Act of 2004. Its keystone was the director of national intelligence, a new spymaster who, with the support of a lean office, would function as a "joint commander" to set priorities and manage conflicts among our 16 intelligence agencies. Our model was the law that set up the Joint Chiefs of Staff across four military services. As we envisioned it, the new office would use the existing community management staff, previously housed at CIA, plus agents detailed from various intel agencies, as needed. It was the right reform then, but more than a decade has passed. The Journal reports Mr. Trump and his advisers think the office is "bloated and politicized." Some of that criticism is fair. A bureaucracy has grown around it. The threat landscape has evolved. An age of information warfare poses different challenges than the ones we confronted in 2004, when our chief enemy was a top-down, traditionally run al Qaeda. There have been some positive advances: efforts to consolidate many information-technology systems across the intelligence community, common tasking of satellites, common audit standards, a careful acquisitions process, and a far more professional way to assemble and red-team intelligence estimates. Midlevel officers are broadening their experience by working outside their home agencies. Yet ODNI, designed to rise above the intelligence bureaucracy, is not as agile as we hoped it would be. When John Negroponte arrived in 2005 as the first DNI, he had 11 support staff. By 2008 ODNI's workforce had grown to 1,750; it's far larger now. The more ODNI grows, the less quickly it can move. It took the private cyber security firm Crowdstrike a month to investigate the digital break-in at the Democratic National Committee and publish a detailed report attributing the hack to Russia. It took the intelligence community several months to consolidate around the same assessment. Rumored disagreements between the CIA and FBI, which leaked into the press, fed the fog of Russian disinformation. The problem is exacerbated by ODNI's increasingly public image. The director was never meant to be a chief spokesman on intelligence issues, but one after another has found himself playing that role. Spies need to "go dark." These concerns will only become more urgent as cyber-warfare becomes more widespread. Our spy agencies will be asked to pool intelligence to identify hackers who aim at our critical information systems. Each case will call for close coordination and effective communication. 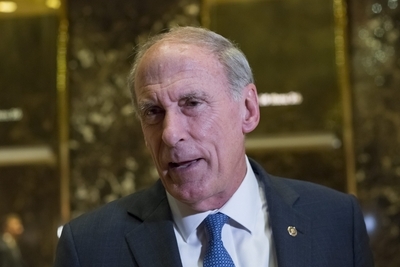 DNI Director-designate Dan Coats's experience on the Senate Intelligence Committee and as ambassador to Germany equip him well for the role. If confirmed, he has a clear mandate: to streamline his office. Ms. Harman and Mr. Hoekstra were, respectively, ranking Democrat and Republican chairman of the House Intelligence Committee, 2002-06. She leads the Wilson Center and he is a fellow at the Investigative Project on Terrorism.